1. Go to XTM Editor (How to open a file for translation in a created project). 2. Click the Settings icon on the left toolbar. Then click the Options tab. 3. 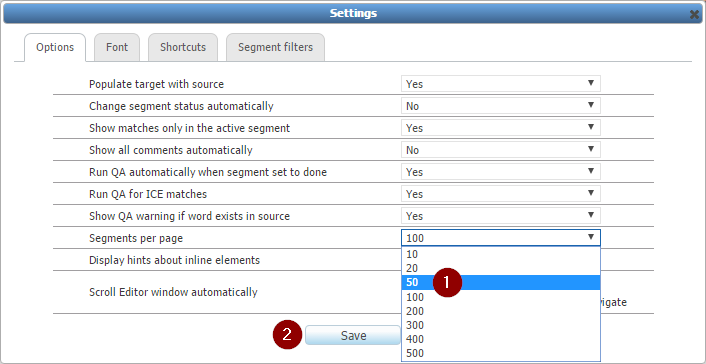 Change the options to suit your needs and working preferences: for example, reduce the number of segments per page, deactivate “Change segment status automatically” or active “Display hints about inline elements”. When you have set your options, click the Save button.